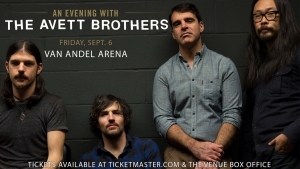 The Avett Brothers are coming to Van Andel Arena on Friday, September 6, 2019. The Avett Brothers made their major label debut in 2009 with their album I And Love And You, with it landing at #16 on the Billboard Top 200 and garnered critical acclaim from Rolling Stone, Paste, New York Times, Los Angeles Times and Time. Their album, True Sadness, released in March of 2016, is their highest career debut to date and dominated multiple charts. The Rick Rubin produced album hit 31 on Billboard’s Top Albums Chart, #1 Top Tock Albums Chart, #1 Digital Albums Chart, #3 on Billboard’s Top 200 and got two Grammy nominations. Tickets go on sale on Friday, April 12. Click here to purchase.